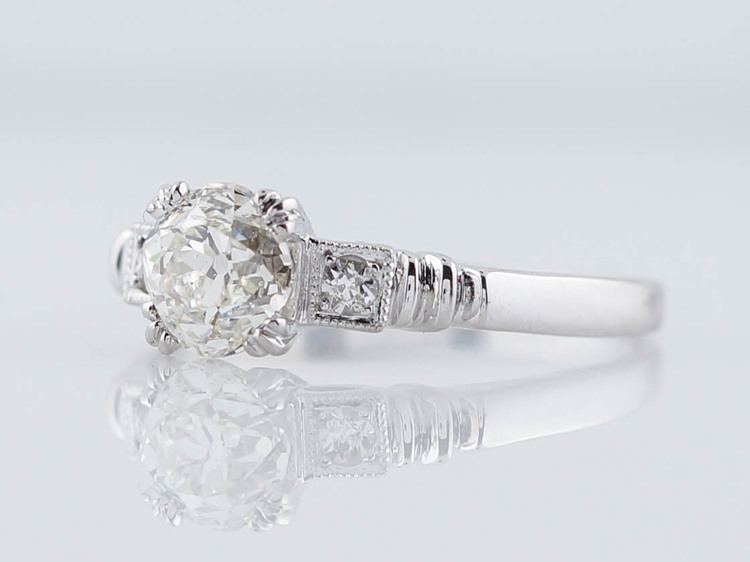 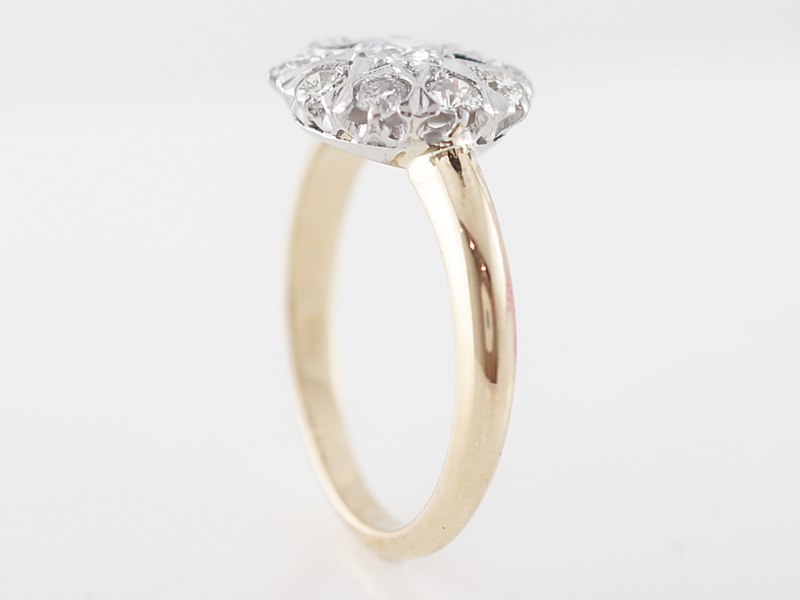 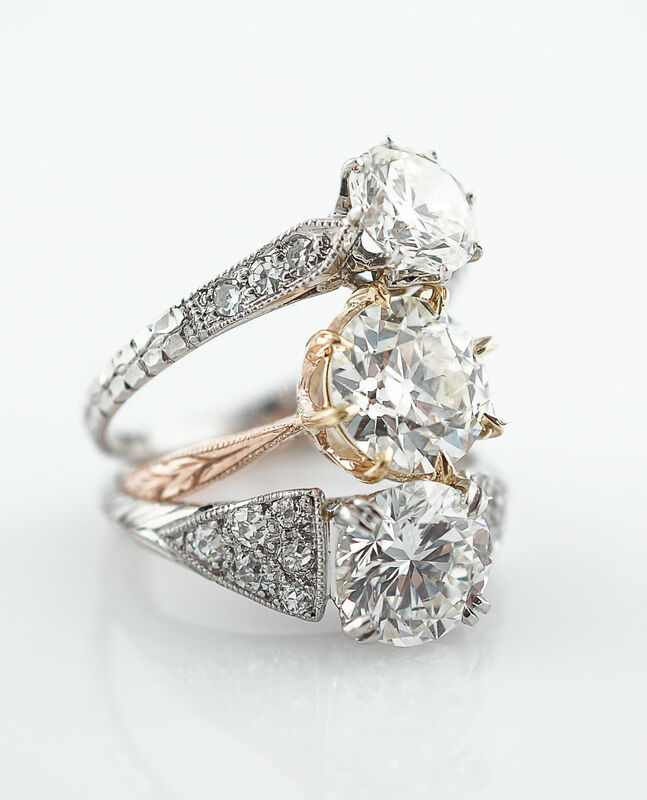 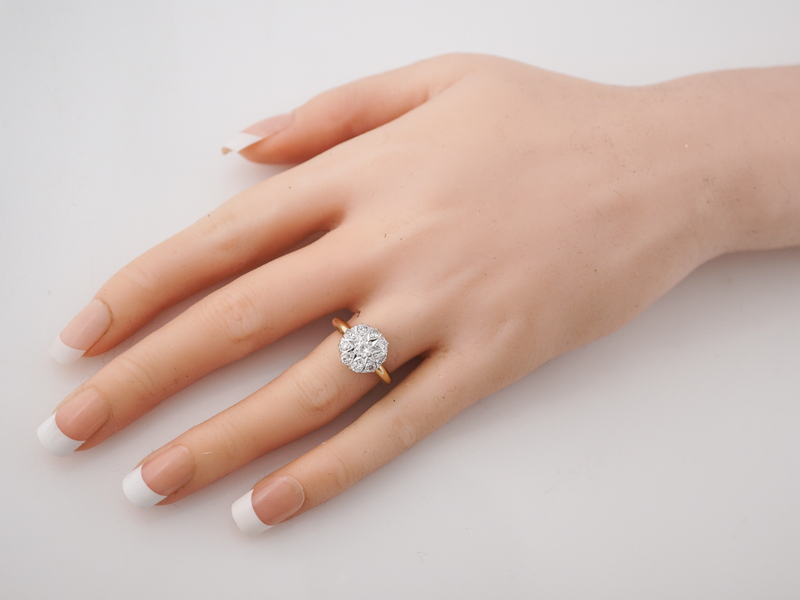 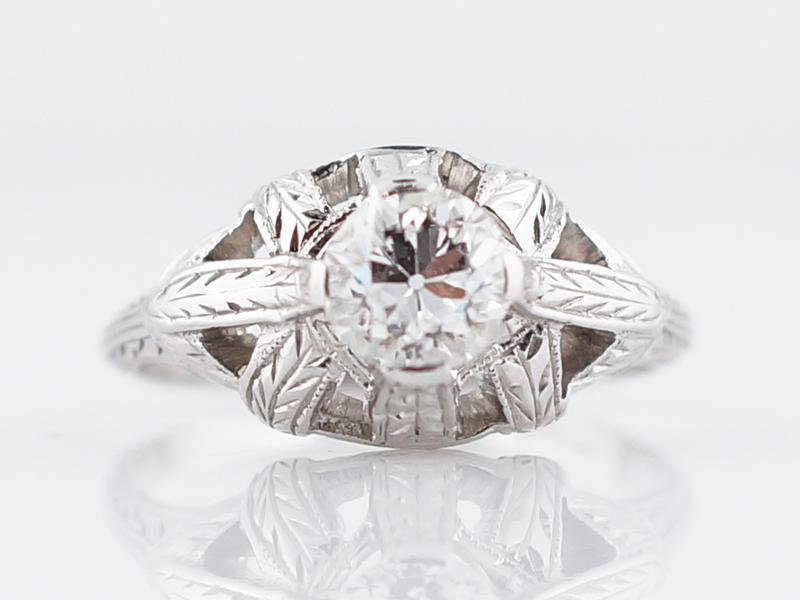 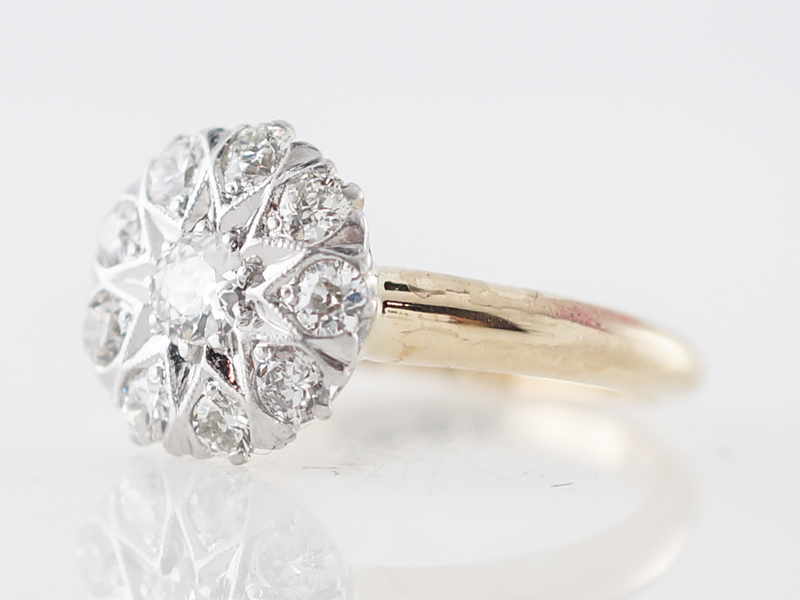 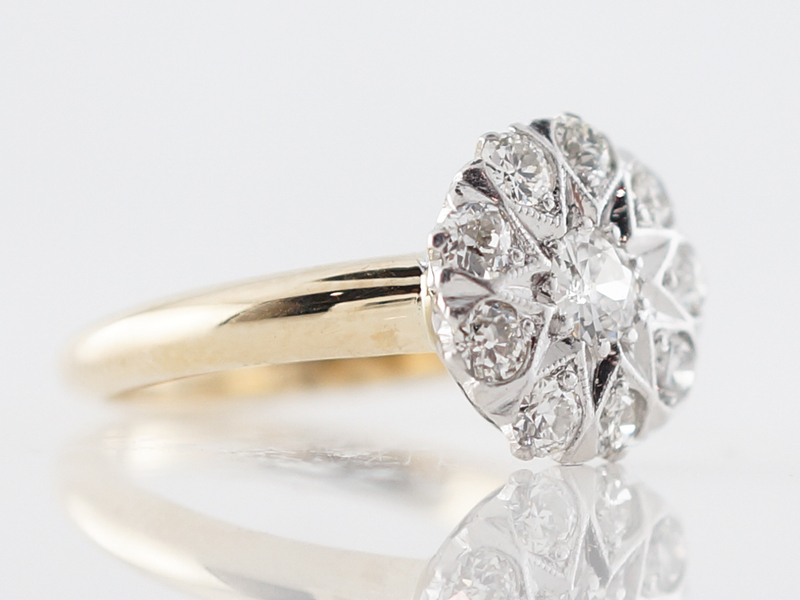 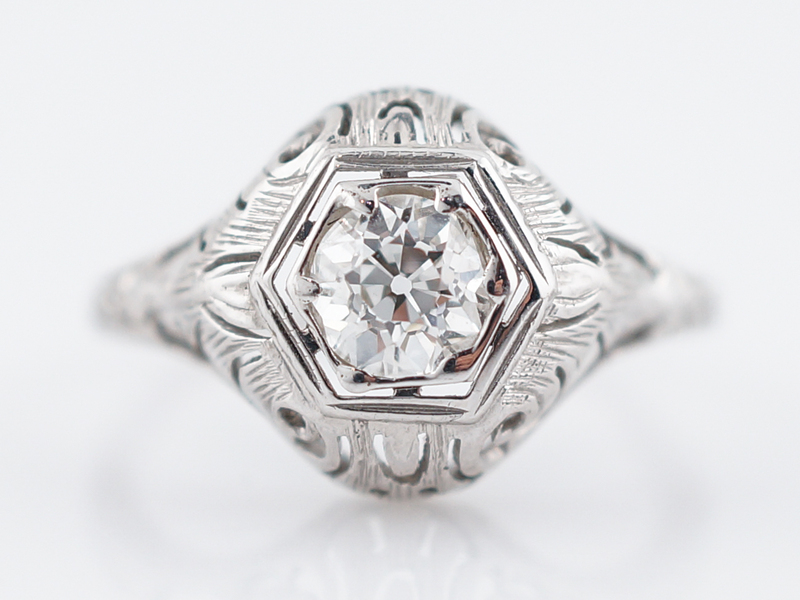 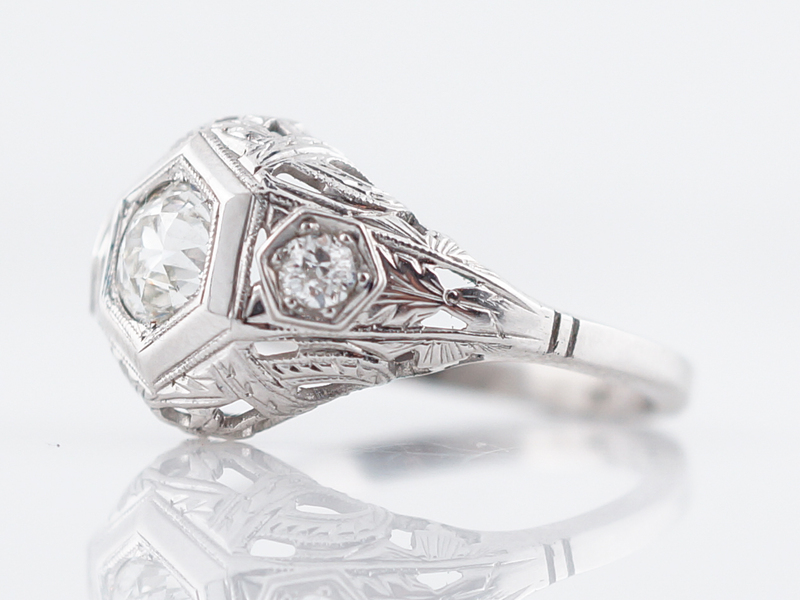 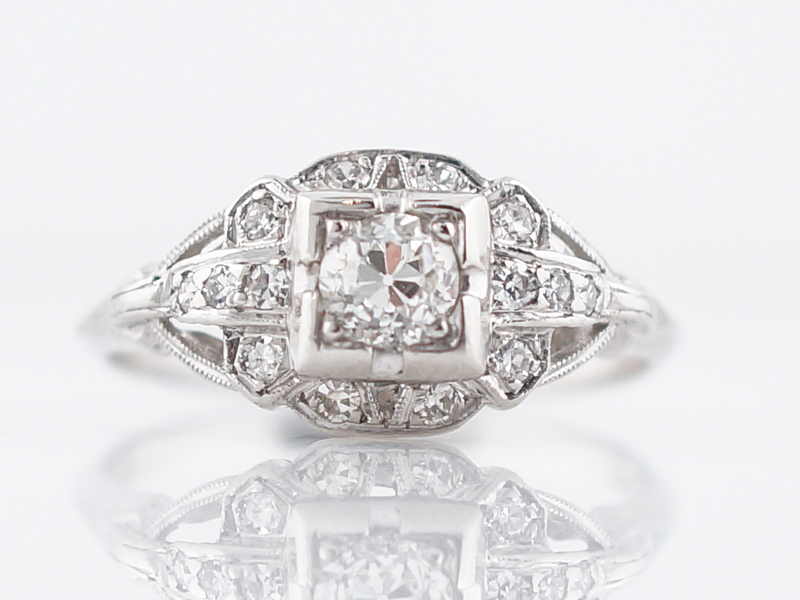 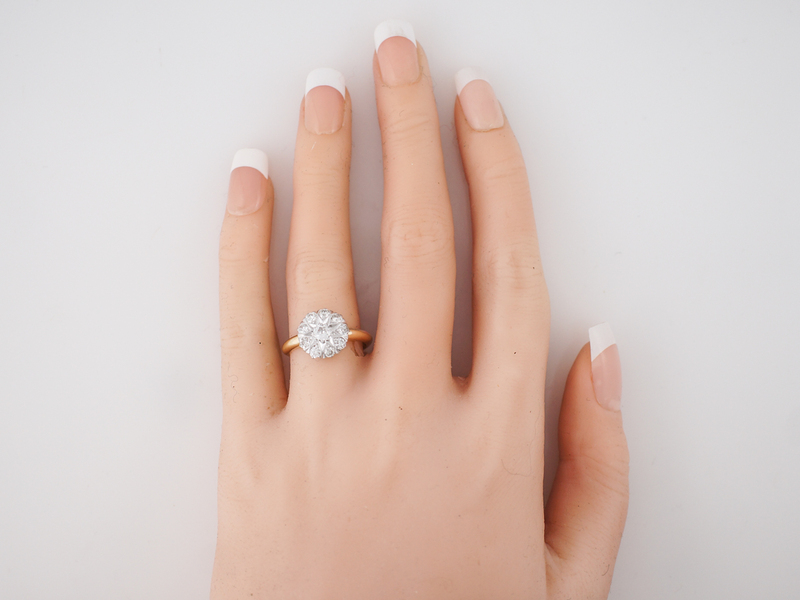 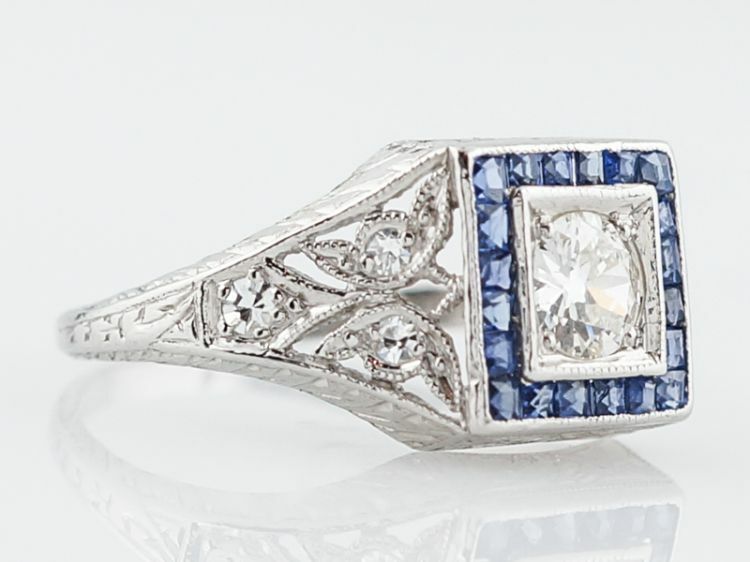 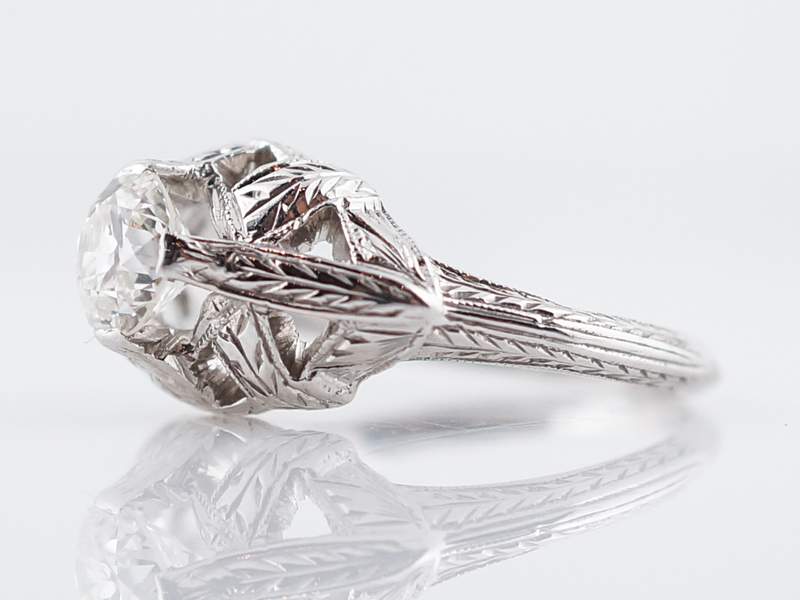 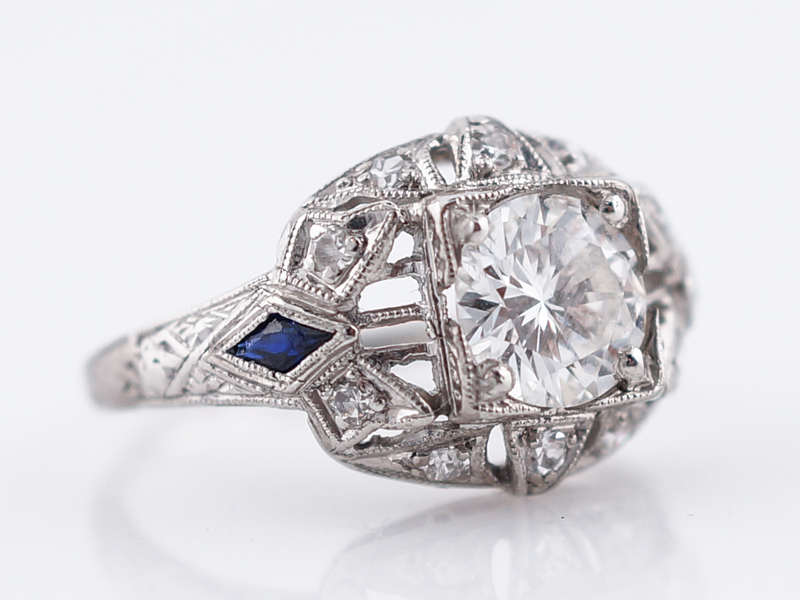 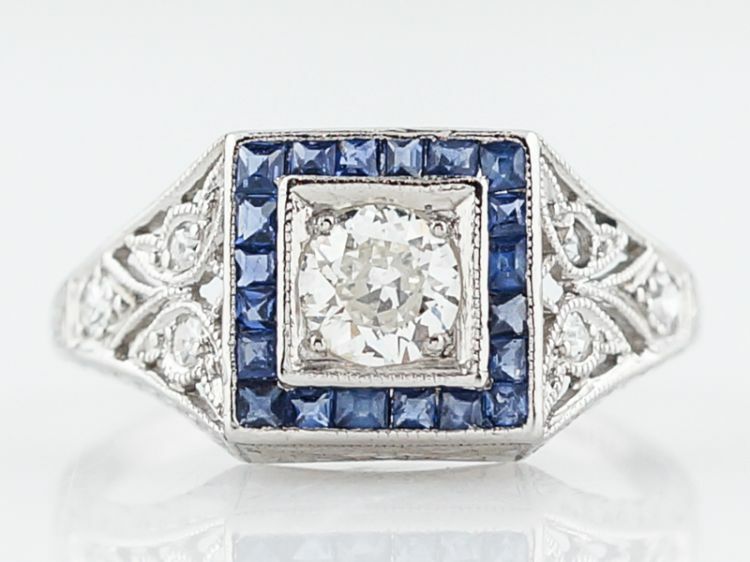 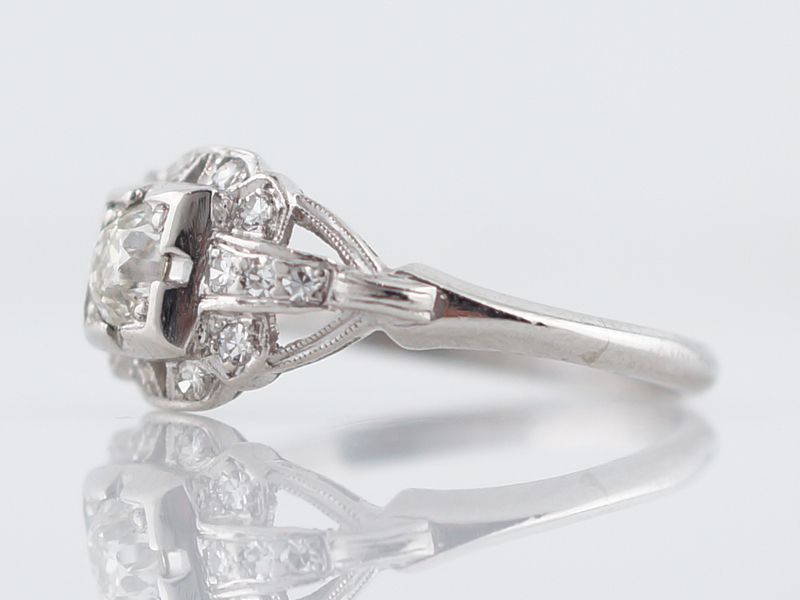 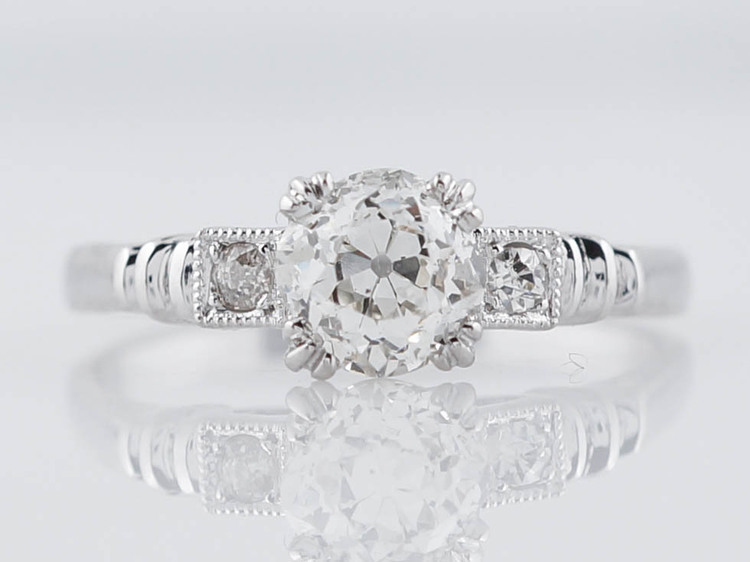 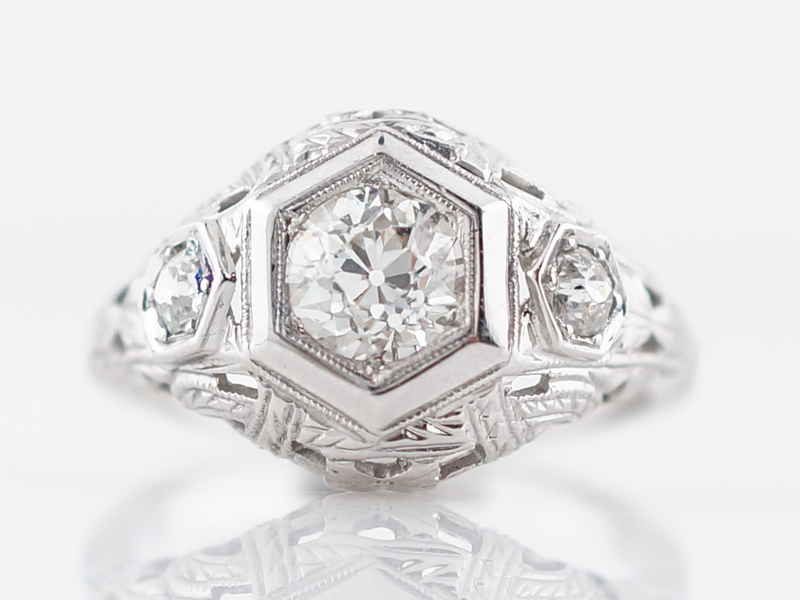 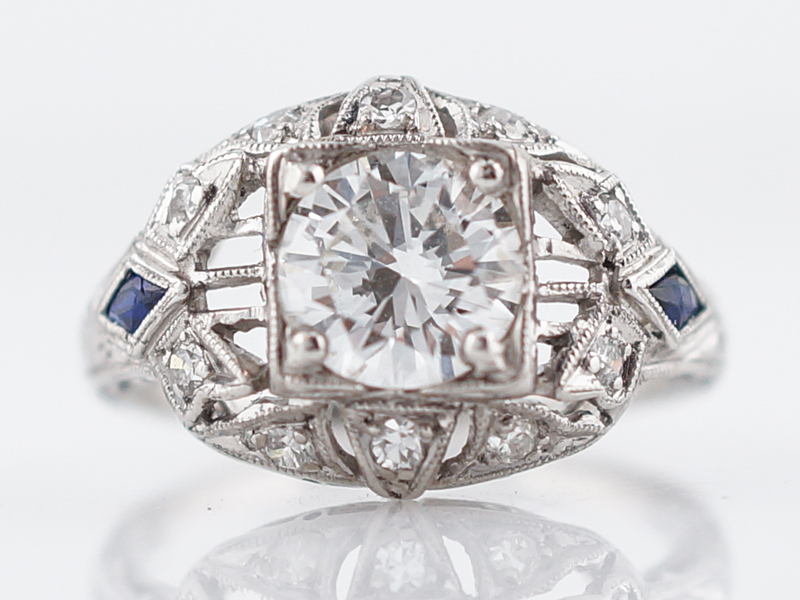 This Victorian engagement ring has the traditional look of a classic cluster ring with some very charming elements. 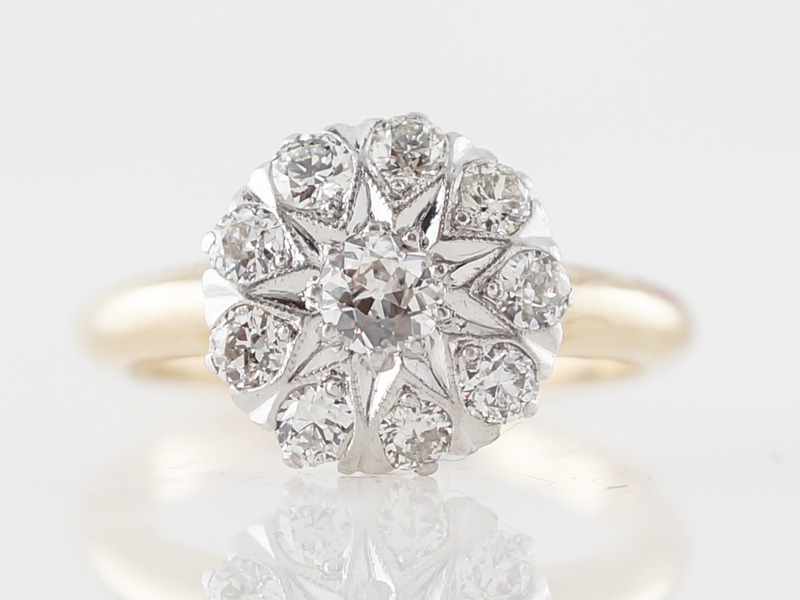 The center stone is a .25 carat bead set, old european cut diamond set in a captivating star shape. 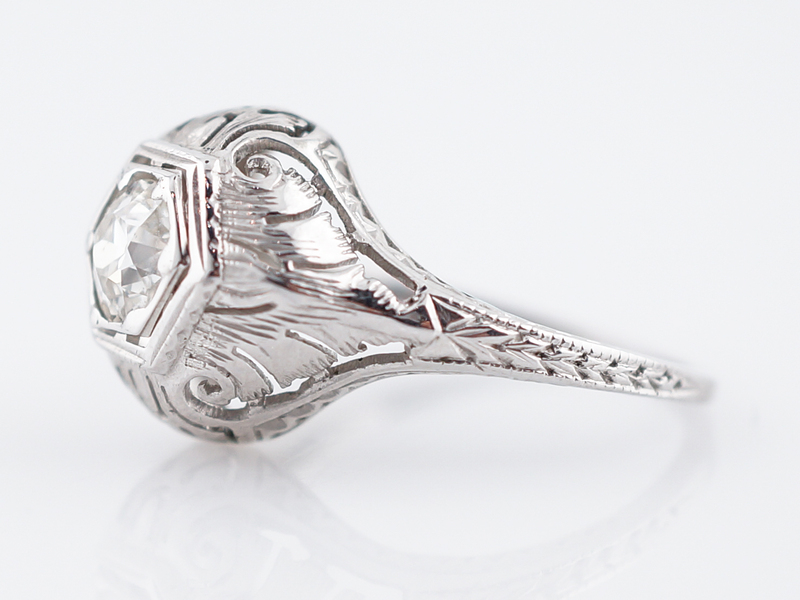 The unique design is subtle at first glance and remarkable with a slightly closer look. 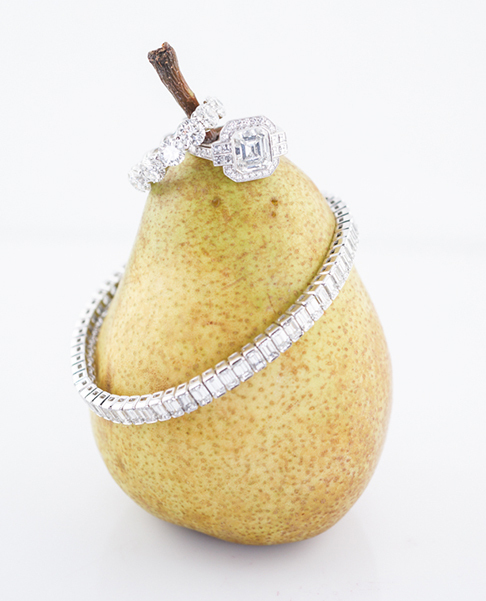 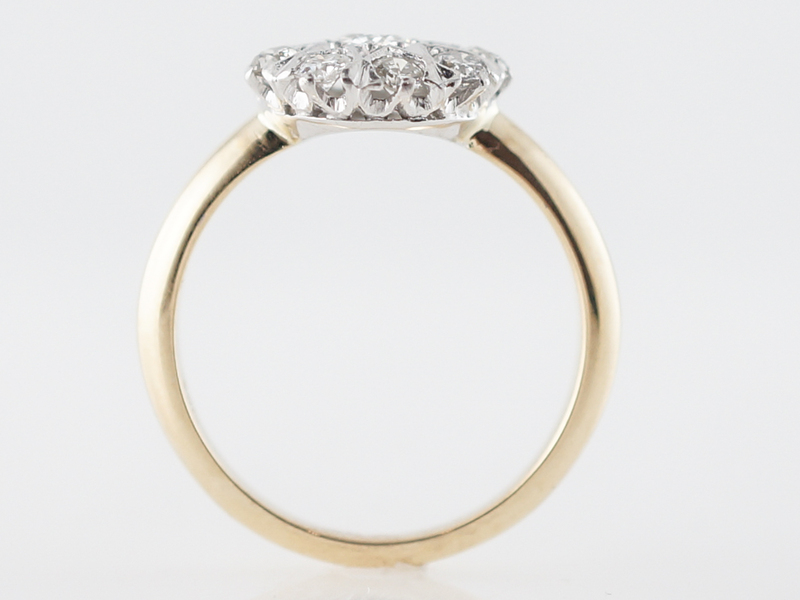 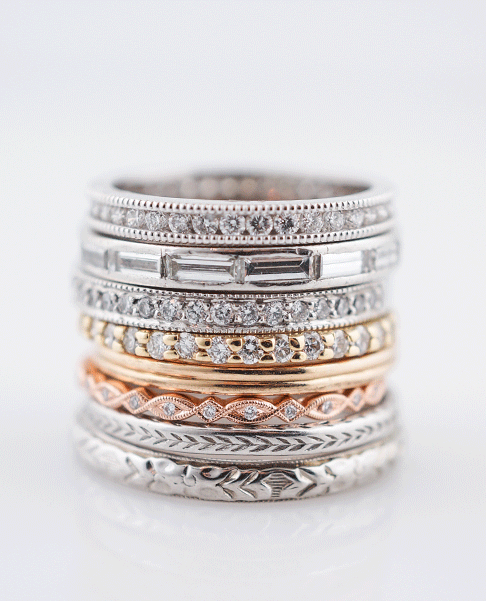 This piece also offers the versatility of a two tone look and has a total diamond weight of .79 carats.